My next novel (in progress) is a very different animal. Workingly titled Rider Keene, it’s the story of the titular character, the elder of two brothers in a family of Irish-American jewelers in San Francisco’s Mission District. Spanning forty years of the last century, spun out in three parallel narrative threads, the book tells the story of how a family drifts almost unintentionally into a life of crime, beginning in part one with the black market in World War II and continuing on into a brash new post-war America. Cast out from the Bay Area after an unsuccessful power struggle with his younger brother for control of the family’s burgeoning criminal empire, part two finds Rider roaming the country in exile, putting his only true skill to use: ending the lives of lost men in bad trouble. Until the moment comes when it’s time to return to San Francisco in part three and exact revenge. 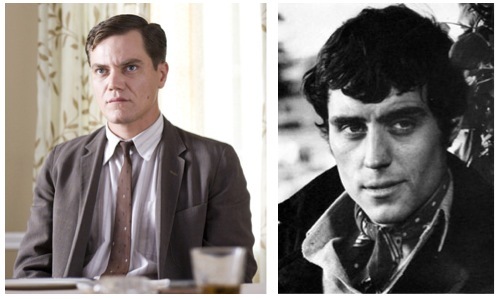 Rider is born in 1930, so he comes of age during the 1940’s and ’50’s. At that time, the Mission District was predominantly Irish-American, a close-knit working class enclave where church and family ruled. 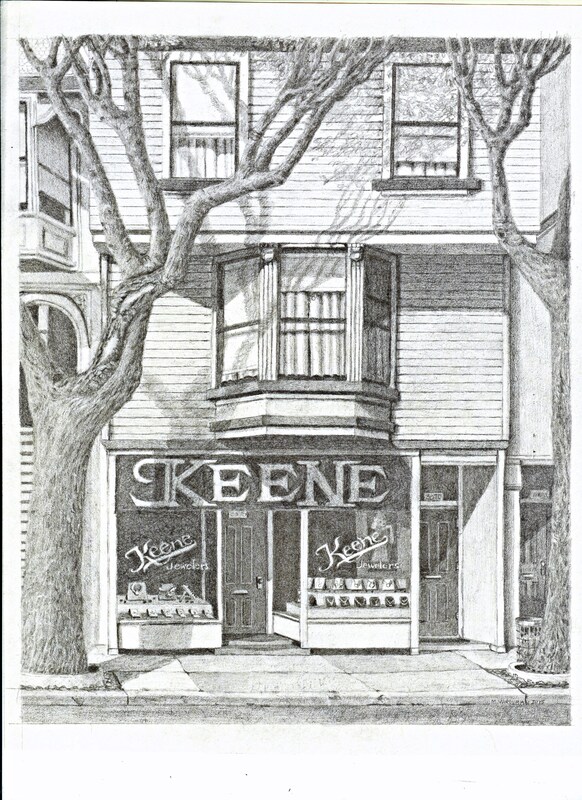 Because I’ve never lived in San Francisco (nor was I alive during those years), I spent quite a bit of time researching the city in mid-century, and more specifically the Mission, the neighborhood where the Keenes live, work, and go to school. To help ground Rider in the neighborhood, I created this map using Google Maps. 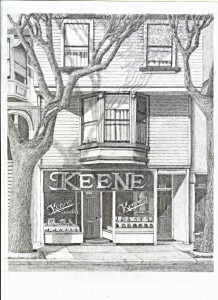 It includes icons representing over 50 businesses, schools, and landmarks from the 1940’s and ’50’s, plus the location where the Keenes’ jewelry store sits, on 24th between Folsom and Treat. The Keenes live above the shop, and Rider’s bedroom window looks straight down that alley across 24th. It’s called Lucky Street, which I hope is appropriate. 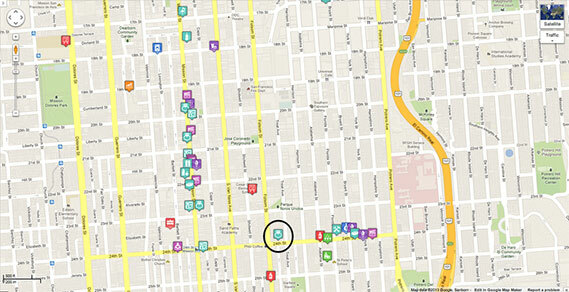 Click the map to see an interactive version of Rider’s Mission District.